Just a week and a half after hearing arguments in a case brought by Idaho Wool Growers Association; American Sheep Industry Association; Public Lands Council; Wyoming Wool Growers Association; Carlson Company, Inc.; Shirts Brothers Sheep; and Colorado Wool Growers Association, against the Payette National Forest’s decision to close 70% of the domestic sheep grazing on the forest, United States Circuit Judge, A. Wallace Tashima has sided with the Payette National Forest and intervenors, The Wilderness Society; Western Watersheds Project; and Hells Canyon Preservation Council. The process undertaken by the Payette National Forest was long and involved a great deal of science and public input. 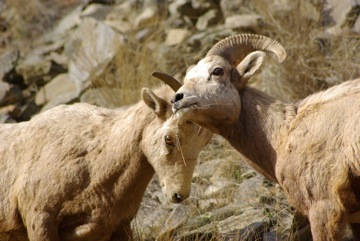 At issue was the assertion that there was uncertainty that domestic sheep transmit pneumonia to bighorn sheep in the wild and that the Payette National Forest didn’t properly address the concerns of two USDA Agricultural Research Service scientists who had opposing views but who had raised their concerns after the entire process was finished. The Wool Growers et al also argued that the Environmental Impact Statement improperly relied on a study that had not been peer reviewed at the time which found that domestic sheep can unequivocally transmit deadly pneumonia to bighorn sheep in a laboratory setting. The judge found that the Payette National Forest did indeed address the uncertainty citing the voluminous, and overwhelming scientific consensus that there is a risk that the intermingling of domestic sheep and bighorn sheep would result in a deadly outbreak of pneumonia. The judge also found that the Payette National Forest also properly addressed and rejected the concerns of the Agricultural Research Service scientists in the Environmental Impact Statement that was prepared for the decision because these same concerns were raised by others during the process. Judge Tashima also found that the Payette National Forest did improperly rely on the unpublished Lawrence et al study that reinforced the plausibility of the risk of disease transmission but added that, since there was already a scientific consensus that there was a risk, this was not “significant” new information at the time. Interestingly, the plaintiffs submitted the paper to the Payette National Forest during the process and the paper has since been published in a peer reviewed journal. This is a very significant win for bighorn sheep because it provides a precedent that other National Forests and BLM districts must follow. Indeed, Region 4 of the U.S. Forest Service has embarked on a bighorn sheep risk assessment and the Owyhee BLM has already decided to close domestic sheep trailing and grazing on the Poison Creek allotment just south of Marsing, Idaho and convert the allotment to a cattle grazing allotment to protect the nearby bighorn sheep population. Don’t know much about the bighorn sheep, but it is good to hear good news for wildlife. Finally. Hopefully this is the beginning of a trend for wild sheep in our national forests. The fate of these bighorn sheep and pneumonia determines the fate of all bighorn in central Idaho. This is a very happy outcome. I think it is important to note that the intervenors were Western Watersheds Project, The Wilderness Society; and Hells Canyon Preservation Council. Where were the groups that have “bighorn” or “wild sheep” in their name? I wouldn’t want to dismiss other groups just because they weren’t involved in the lawsuit and it’s great to see some western conservation efforts focused on something besides wolves but it’s difficult to find good information on who’s doing what with regards to wild sheep. I would love to see more articles devoted to sheep. I would be thrilled if we could see sheep receive half the enthusiasm usually reserved for wolves. You have come to the right place. We have done many stories on bighorn. Enter the word in our “search” box and see. Because of the number we’ve done, that’s why I say that the absence of “wild sheep” groups is the usual case when it comes to protecting bighorn from their main threat — pneumonia from domestic sheep and goats. The wild sheep groups joined the anti wolf crowd and seem to have their heads buried in the sheep doodoo when it comes to removing domestic sheep from our public lands. They seem to forget that bighorns were found by the tens of thousands in Idaho before domestic sheep arived on the scene. Wolves historically were not a limiting factor in bighorn populations. They are not important predators on wild sheep today either. I might be cynical, but their lack of action on behalf of bighorn and cozying up to anti-wolf groups makes me think they are driven by the cause to secure their group’s finances and positions rather than advance bighorn sheep. What could be an alternative explanation? I didn’t mean to say that you and Ken aren’t enthusiastic about sheep, clearly you are. It’s just discouraging to see these articles peter out with so few comments when wolves aren’t involved. This ruling is a big deal but nobody seems to be acknowledging that. Again, if it seems wolves get all the attention, it is because they are so irrationally singled out (Guys Gone ‘bonkers’ if you will) for such brutal persecution. But don’t give up yet, I’m sure people will continue to comment about this ruling too.